Like FREEBIES? Join the club at http://ericaridley/club99 for members-only FREE BOOKS and advance notice of new releases! Erica Ridley learned to read when she was three, which was about the same time she decided to be a writer when she grew up. Now, she's a USA Today best-selling author of historical romance novels. Her latest series, The Dukes of War, features roguish peers and dashing war heroes who return from battle only to be thrust into the splendor and madness of Regency England. 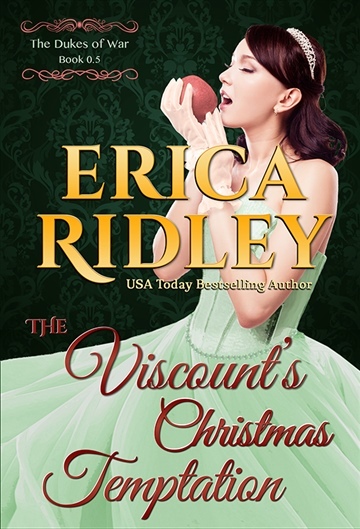 When not reading or writing romances, Erica can be found riding camels in Africa, zip-lining through rainforests in Costa Rica, or getting hopelessly lost in the middle of Budapest.